Located in Columbus, Ohio, the Grange Insurance Audubon Park has become a gem in the metro area. 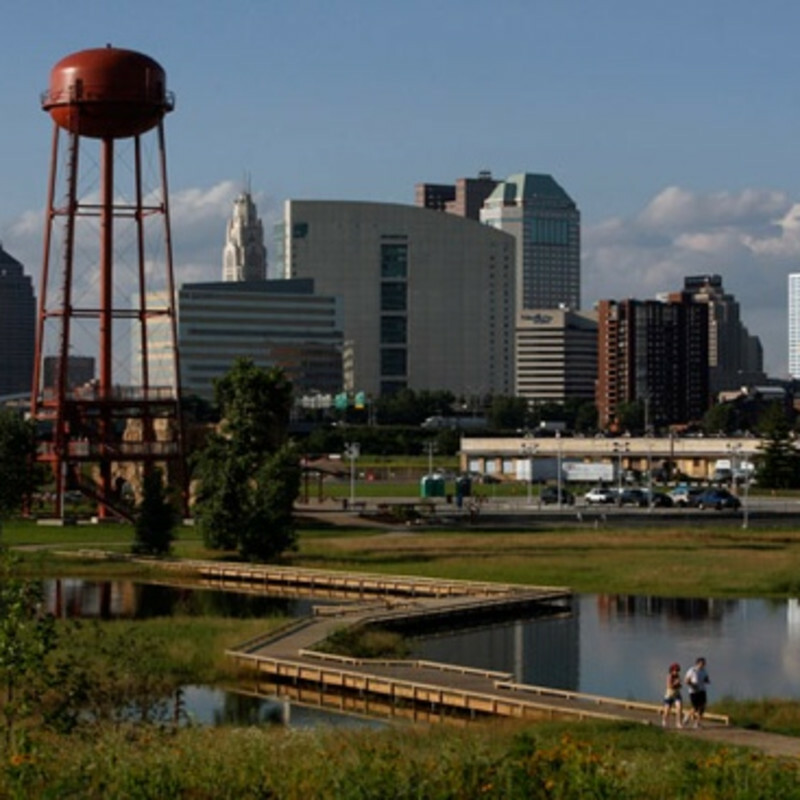 The park, which is situated along the Scioto River, offers biking trails, a 35-foot rock wall, fishing areas as well a giant water tower with two observation platforms with amazing views of Downtown Columbus.There are 120-acres to explore, including the nature center, educational classes, and an awe-inspiring wired bird nest, allowing visitors can hear the birds themselves. The Audubon parks also features a boat ramp and sand volleyball courts.